Lead soloist C.J. Simonsen on the highest speed pass of the day. Fellow photographer Scott Meyer and I estimated his altitude above ground at less than 150 feet. 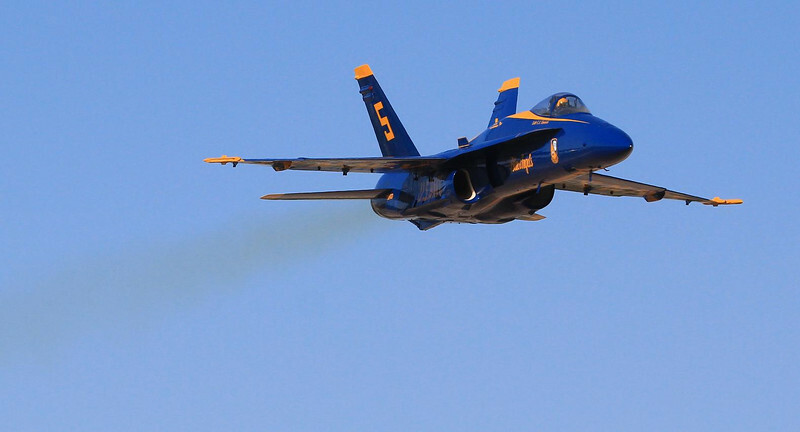 Blue Angels are restricted to 700 MPH top speed at public airshows, and I suspect we got everything he was allowed to give us.